LITW has often announced and promoted great charity miniatures efforts, so it is with great pleasure that I now post about BLACK CRUSADE 2012! Over the next weeks, they will build and paint a massive Warhammer 40K Chaos Space Marine army just to give it away in a big raffle! This year all contributions will benefit the Jack Vasel Memorial Fund, a charity that provides financial assistance to members of the public who are part of the gaming community and who have suffered personal hardship. How does it work? Every dollar you contribute gives you a chance to be the lucky new army winner at the end of this drive. 10 dollars contribution =10 chances to win. 100 dollars = 100 chances... you get the idea. At the end of the drive, on August 10th, they will choose and announce the winner. And of course they will have additional give-aways of all kind of gaming related goodies for you! The winners of those prizes will be drawn form everybody who donated tot hat point, so get your lots in early! 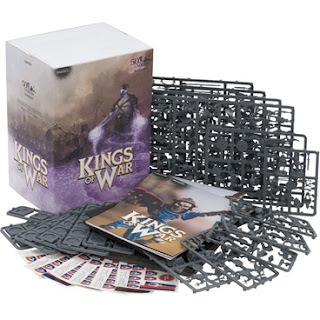 The first raffle will be held on Monday June 18th so you have until Sunday to get your name in on the first draw for a Mantic Kings of War Undead Warhost! After that it seems as though the give aways will be weekly!!!!! Well, the more support they get, the better the army will be and the more money they can collect! Just talk about it. That's the most important part of all. 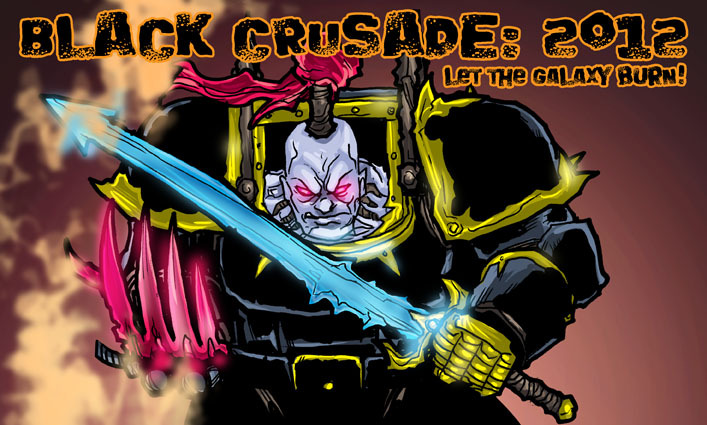 The more people know about the Black Crusade, the more success it will have. 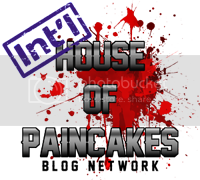 Tell all your friends, talk about the Black Crusade on you favorite forum or post it on your blog! We are still looking for donations for the army and for the weekly give-aways. 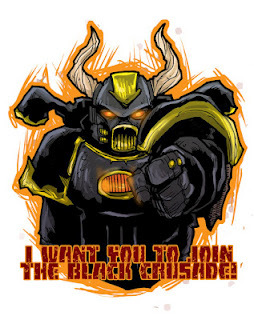 No matter f you are a fellow hobbyist or a store owner, please just contact us under blackcrusade2012@gmail.com! - Contribute to the army! Again, just contact them under the email address above. And feel free to ask any further questions. Glad to hear it, Congrats!